If you were using another reference manager such as EndNote prior to trying Papers for Windows, you might want to import your existing library, instead of building a new one from scratch. 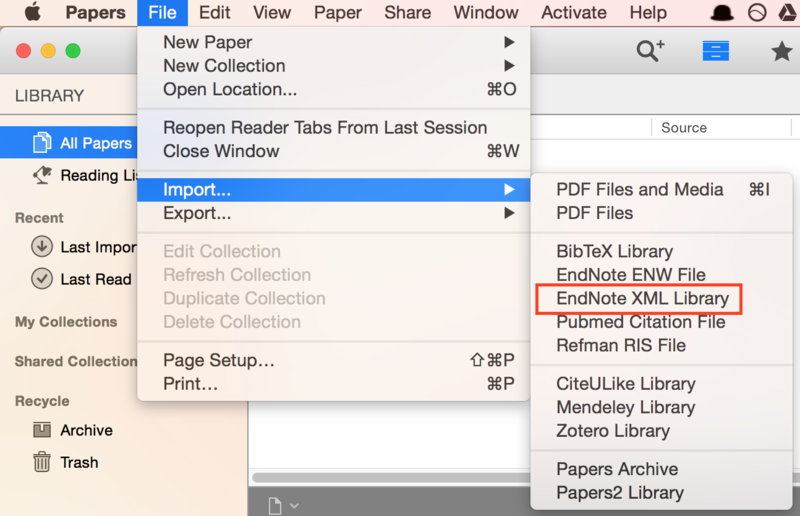 Export your library in EndNote as an XML file. 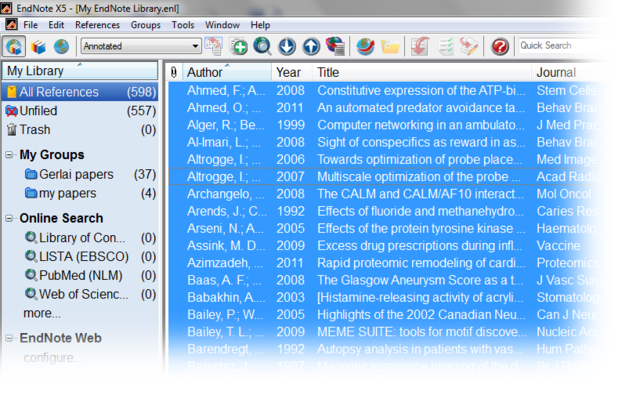 Import your EndNote library into Papers. 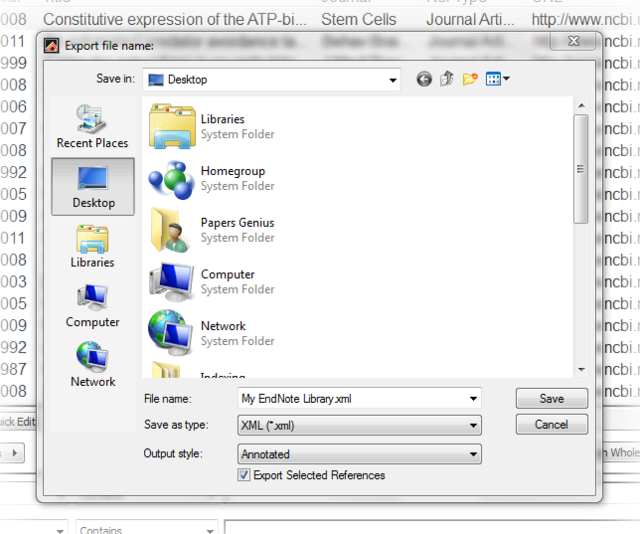 In EndNote, select all the papers you want to export, typically that means you make sure your entire library is selected. You can do this very quickly by navigating to "All References", selecting one entry in your library, and then using the Ctrl + A keys to select all entries. Save your library in a place where you can easily find it on your computer. Make sure you change the file type from the default .txt, to .XML from the drop down menu. All references you selected will now be exported. If you only wanted to export a portion of your library, you can do so. You can import multiple EndNote libraries into Papers, so if you want to get started with a subsection of your Endnote library that is also possible. 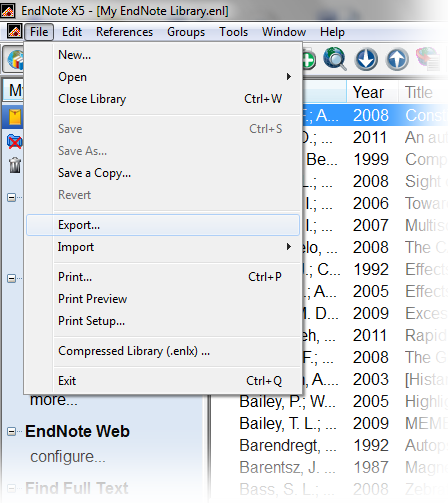 Now point to your exported EndNote library you saved a few steps ago and click "Import"